Despite the myriad of jokes about what exactly a conductor’s purpose is on stage, they are actually a very important aspect of the musical process. Our director is a guide, not only through the process of learning the music; pointing out important technical aspects, and instructing us in the interpretation of the music. There is an implicit trust that develops between conductors and choristers, and that trust can be seen on stage, when a conductor has to manage the many moving parts of a performance. Unconditional trust is an inherent aspect of confidence – it allows singers to get up in front of people, and put their full heart into the performance. Confidence comes from knowing those around you support you. And what better way to support someone, than by teaching them? In a choir setting, choristers are not just learning about music from the conductor, but from those sitting around them as well. In the Calgary Children’s Choir we actively encourage peer mentorship, from implementing a buddy system between our youngest singers, and the oldest, and creating collaborative concert settings. As a choral group we have at least three large concerts that are part of our singing season. We also have several other singing engagements throughout the year. Because of this, our choristers have many opportunities to practice performing. With every concert, or performance, our choristers become more self-assured, more confident in their ability to stand up in front of an audience and sing! When our choristers get up on stage to perform, they know that they won’t be up there by themselves; they will have the rest of the choir up there with them. That is the beauty of choral singing; many voices as one. Knowing that you have others with you, enhancing your own sound, supporting you, and together, creating something beautiful greatly increases confidence. Singing is terrific, but singing with others, is truly something special! 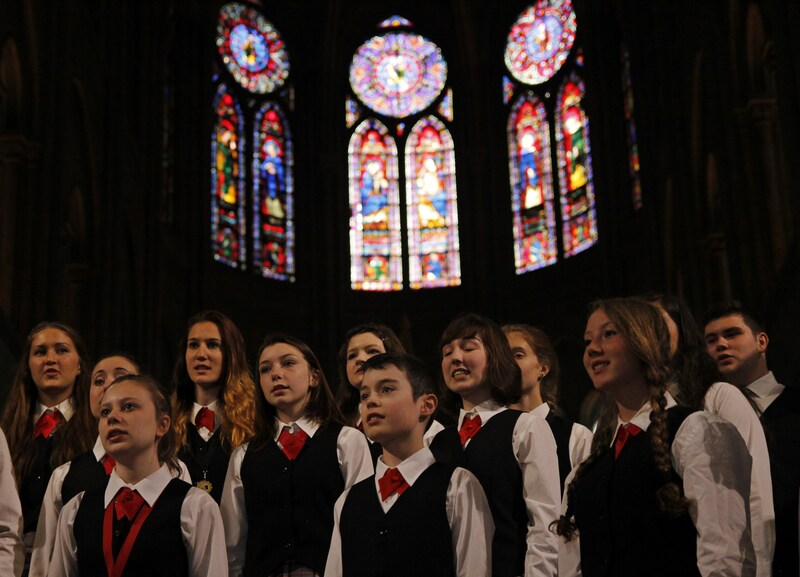 Do you think singing in a choir increases confidence? Tell us in the comments below!